Sometimes, the best thing you can do with your time is nothing. In our fast-paced, plugged in, always connected, be there yesterday world, it can be increasingly difficult to find time and space in which to truly rest, relax, and recharge both body and spirit. This is where a favourite pipe and a good tobacco comes in for me. I had the luxury of an hour to myself the other day – my wife had taken our girls out shopping, and I found myself with no other claims on my time. So I spent it doing exactly nothing, or as close to it as one can come without being asleep. 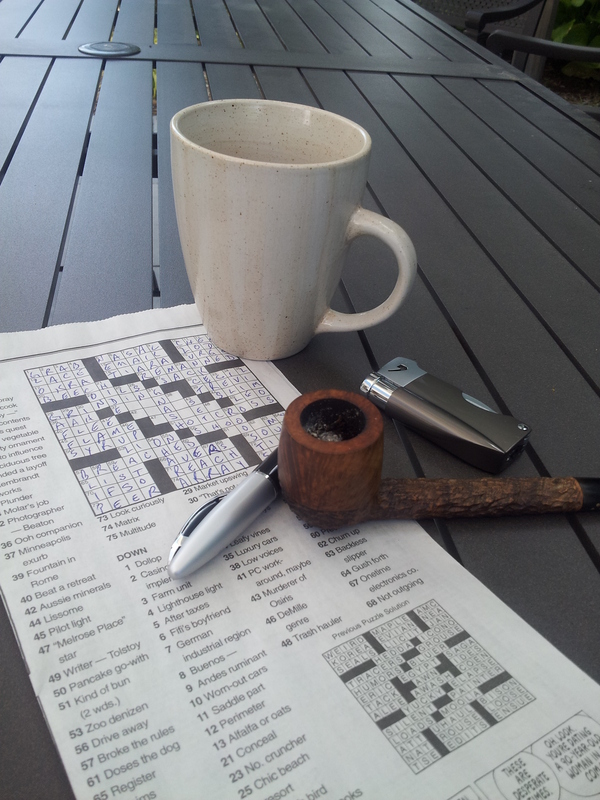 I grabbed the daily crossword puzzle, a fresh cup of coffee, packed a nice, deep-bowled Canadian pipe with Mac Baren’s Scottish Mixture, and headed to my shady spot in the back yard. Previous Previous post: King of the Brighams – Identifying a Presidential Series A Grade Freehand!